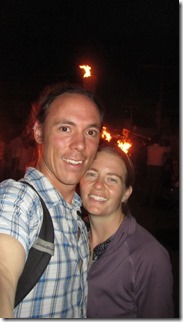 We are back in Colorado, but wanted to finish up our trip with a couple short blogs. 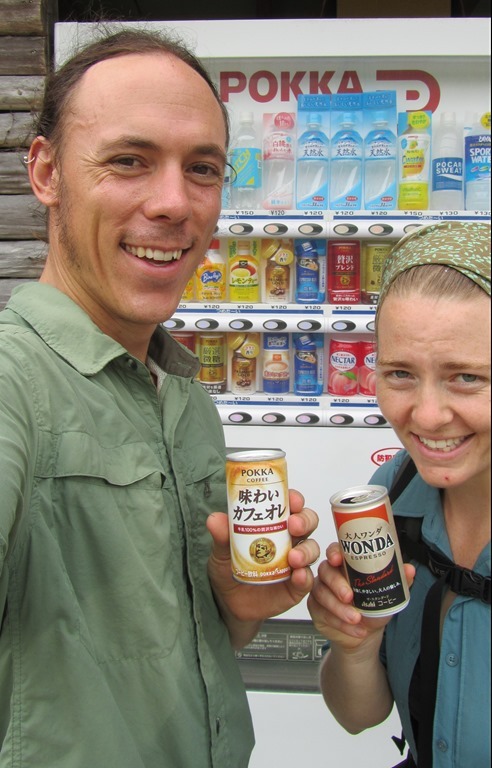 Our last week in Hokkaido, the northernmost island of Japan, was unforgettable. The north is cold; just what I wanted, but with that came rain. 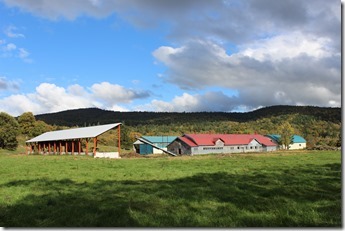 The colors were changing and as we came to the end of our 12 days on the dairy farm we were able to witness the maples and birches in red and yellow with the Japanese pine as the backdrop. Departing from the dairy farm we played with the kids one last time and Rie gave us a lunch for our travel day with handmade dorayaki which are heart shaped pancakes filled with homemade sweet bean paste. Back on the road we found ourselves in Asahidake a small, 12 building town setting up our tent in the rain. It proved to be a cold, cold night and the last night that we camped. 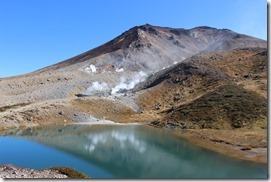 The following day we enjoyed an amazing hike up to the top of the tallest mountain in Hokkaido, Asahidake. At 6,562 feet we looked across some amazing landscape with a variety of colors and the steam vents that were spewing on the side of the mountain were a reminder of Japan’s volcanic characteristics. From the top we hiked down the other side of the mountain to an area that was desolate, maybe similar to the moon. 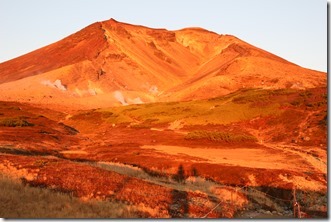 The colors were vibrant from all the gas venting and flowing from the mountains. One area, which is off limits to hikers, looked like it was flowing streams of yellow liquid that made cuts into the landscape. Truly unique. On this all day adventure we hiked through shoulder high pine trees that were stunted by harsh weather and we stopped at a river hot spring for lunch. Nothing like PB&J and a hot foot bath. The trail morphed into flatter terrain where railroad ties placed end to end would be the trail. We made it back to the start right at sunset and Andy got some great shots. Not wanting to spend the money to take the ropeway (like a tramway) down we decided to race daylight and take the trail down. It was a long 3 kilometers and it was in the dark. 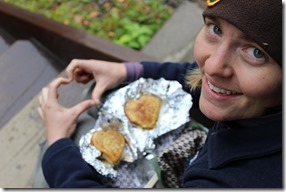 What is one of the 10 essentials that you should always stash in your back when you hike? A flashlight. We did not bring our headlamps, but luckily Andy had his phone and this made for a less difficult, but arduous trip back down. 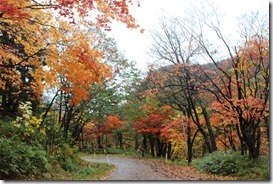 The following days we ventured to the Northeast entrance of the national park at the town of Sounkyo. The colors were more vibrant here and the canyon was more drastic. 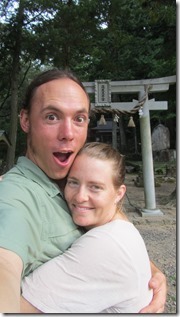 We caught more rain that created soggy shoes, but we hiked to waterfalls and earned a much needed onsen soak or three. We ventured to the multistoried, fancy hotel up the street and paid $5 each for the use of 3 hot spring pools. The first was on the 7th floor and I experienced my first balcony tub that overlooked the resort town below. Then we took the elevator to the 2nd floor and enjoyed another outdoor tub that overlooked a manicured garden, more like a lawn with a couple trees (nature is so much more beautiful!). Last stop was the 1st floor pool that was the hottest and largest. In the women’s bath there were 3 pools each with lessening hotness. The 3rd pool had stone beds that you could lay down on. They weren’t comfortable, but the water felt great. The men’s side, Andy found out by mistake, had a cold plunge. Back at our youth hostel we ate dinner in a community dining area with other travelers from all over the world including Thailand, China, Japan, U.S., Canada, Great Britain, France and Australia. It was incredible. Anticipation followed us back to Sapporro where we sprung for a tiny, but nice hotel room and spent time cruising the city before our flight left Japan. The Sapporo Brewery provided us with many tasty samples before we bought a few items, mainly food to take home. In one day we said goodbye to Japan and hello to China. 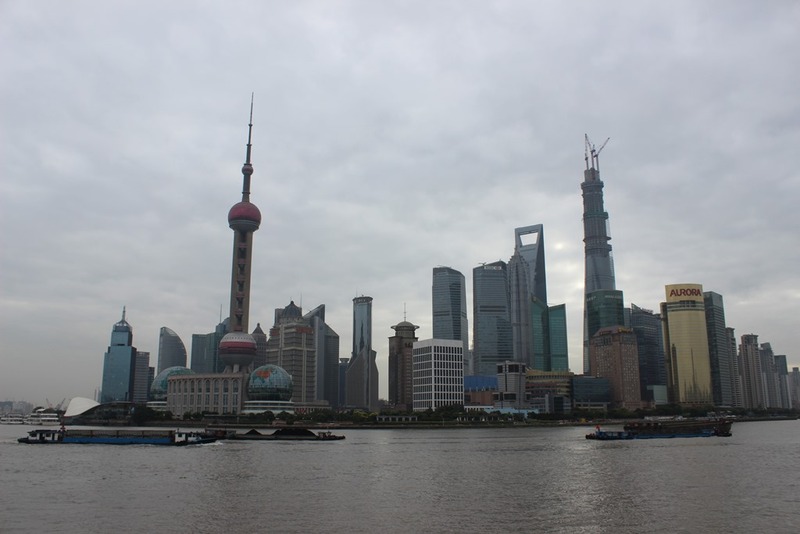 In the process of changing our tickets we settled for a 21 hour layover in Shanghai, China. We lived it up too! Abruptly realizing we weren’t in Japan anymore due to almost getting scammed by the taxi drivers and run over by mopeds (they follow the same rules as bikes…they can go anywhere!) we managed not to get scammed by a taxi driver, figure out the subway system, make it to an acrobatic circus show, eat interesting street food, visit a few sights and take a maglev bullet train that travels 300 km/hr all in 21 hours! 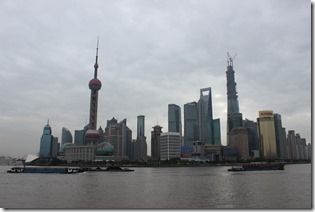 China was a contrast to Japan and a place I need to spend more time in to develop a fair opinion of. A 14 hour flight from Shanghai landed us in LAX, where it took another 6 hours of flights and layovers to get back to Denver and jetlagged. All in all we feel great satisfaction in the traveling that we did in the amazing country of Japan. Getting to know the people, the food, and the customs were experiences that I will carry with me forever. I am intrigued with the vast differences in culture between Japan and my own, but truly heartened by the kindness that we came to appreciate so much in this amazing country. Domo arigato goziamasu to all those who made this trip an incredible journey for us! 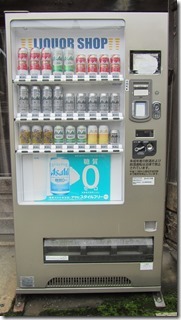 Vending machines in Japan scatter the sidewalks, street corners and niches of hotels, stores and sometimes restaurants. They come in a variety of shapes, sizes and uses as well. The most common ones serve a variety of 30+ drinks ranging from sports drinks, to sodas, to coffee and more. Various ones even allowed you to select whether you wanted the drink hot or cold. Once I selected a hot coffee and I could barely hold the metal can that it came out in because it was surprisingly hot. My favorite of this type was the “Boss” brand that used Tommy Lee Jones as their spokesman. 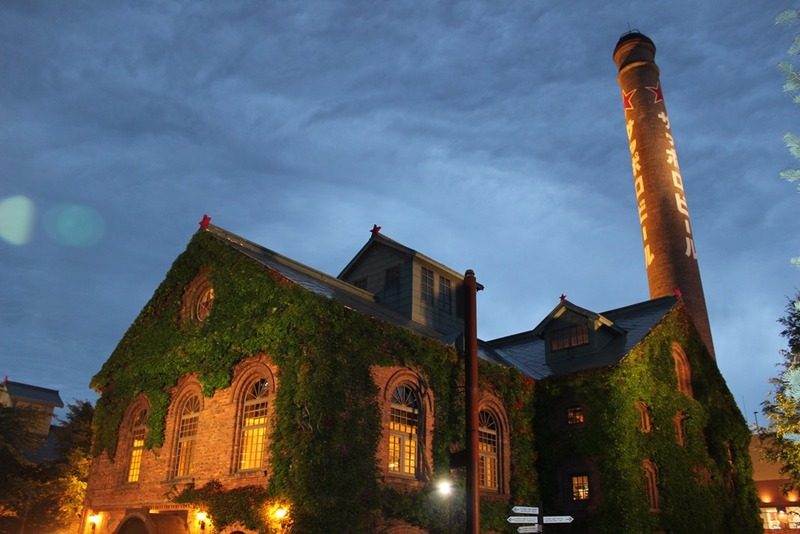 Some of the more unique, but less common machines vended items such as beer, cigarettes and ice cream cones. I really enjoyed the ice cream cones and we frequented the beer machines where we could choose from a varied selection in normal and tall boy sizes. Exclusive machines we found were used in a variety of ways. One we saw sold disposable cameras at a tourist spot, another sold toilet paper for the public restroom, a few sold fortunes at Buddhist temples, one sold hot cups of noodles, others commonly sold tickets to enter a public bath or onsen, while their cousins were placed at the entrances of restaurants where you would buy a ticket corresponding to the dish you wanted to eat. Never did we have to shake a snack out or fight a machine to accept our crinkled up dollar bill. 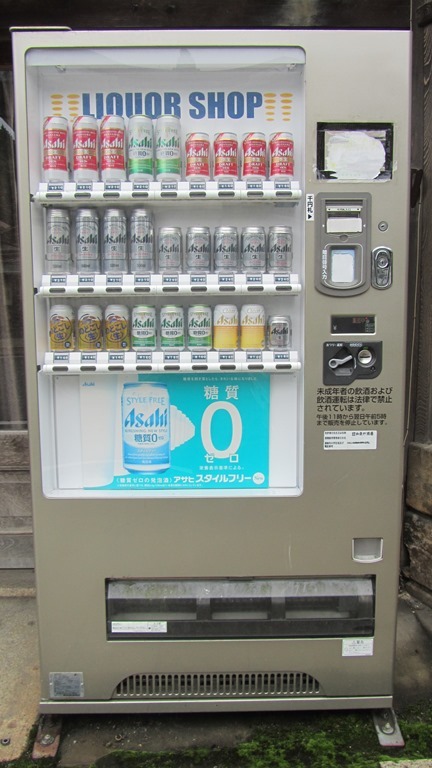 Vending machines are distinctively Japanese and we in the US have not even scratched the surface of their true potential. 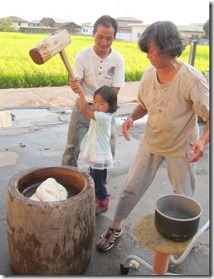 At Shiozaki Dairy Farm outside of Bifuka, Haokkaido we have truly found rural Japan. There is only a one-car train that runs 5 times a day from the station and barely anyone on it. To get anywhere else you really need to have your own car. 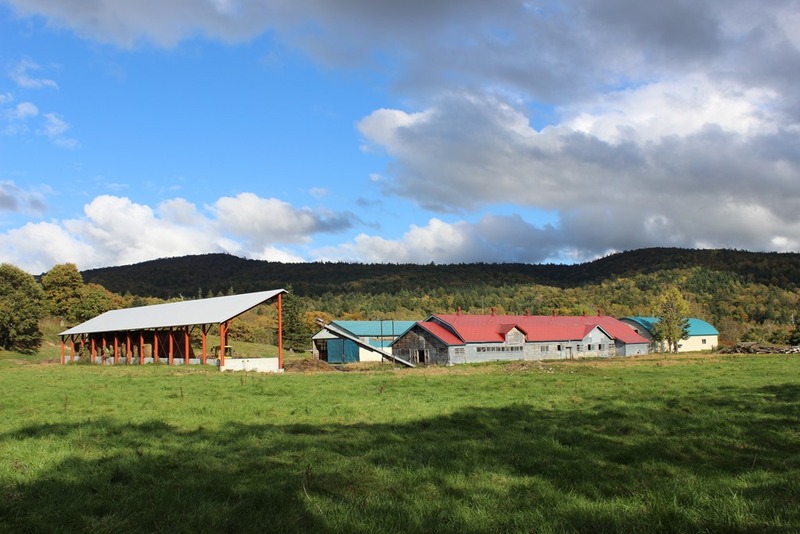 The farm itself is about a half hour drive from the small town of Bifuka, it sits on 80 hectares of pasture and supports 30 milking cows, a handful of meat cows, 4 chickens, 2 dogs, 3 cats and a family of 2 adults and 3 kids. 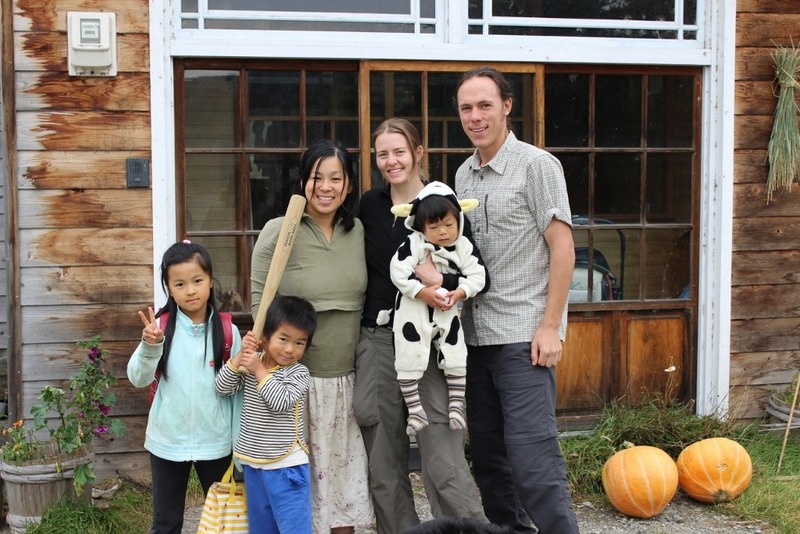 Satoshi and Rie are a young couple that started this dairy 10 years ago and have been feeding their cows with grass from their land and collecting the delicious milk. They are both hard workers and are not only hosting Wwoofers for the first time but raising an 8 year old girl who loves to dance, a very energetic 5 year old and boy and a smiling 1½ year old that we call Heehee for short. 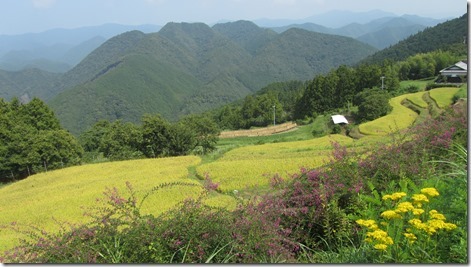 This is what I expected the countryside to look like before making it to mainland Japan two months ago. The farms are still considerably smaller than those found in the Midwest and most are run by individual families. During out first few days on the farm we shared duties with 2 WWoofer girls from Thailand. Our main job is helping milk the cows twice a day. The first milking is at 5am and the second at 4pm. Before the cows can enter we give them measured amounts of ‘beet food pellets’ at their stalls, feed a baby calf, clean and get the wiping rags ready for the udders. Once we let the cows in they go to their stalls and chow down like they haven’t been fed in weeks. It’s pretty amazing that most of the time they go to the correct stall. We lock them to a metal post and begin the milking process. We clean each cow’s udders first and then attach a milking machine. 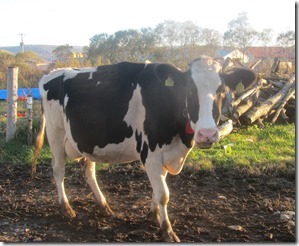 While they are milked we prepare the next cow and go on down the line. There are 4 milking machines going at the same time so there’s always something to do. 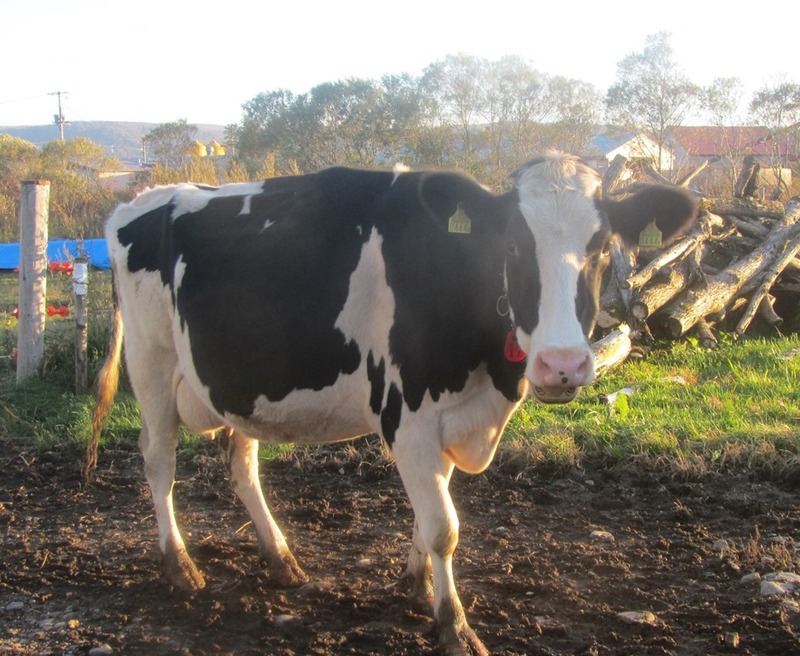 The whole operation runs fairly smoothly, but there are some intricacies that our hosts are used to dealing with like ‘slow milker’ cows, cows that kick the milker off, cows that try and kick us while we’re cleaning them and so on. Satoshi has even performed a few AIs (artificial insemination) the last few days. After the last cow has been milked and most of the others have laid down (I don’t believe cows sleep standing up after this), so we have to get them up, release them from their post and back out to the pasture. We clean the stalls and the towels and get everything ready to go for the next round. In between milkings we help with the kids and chores around the house like laundry or gardening. Outside of work we are included in many of the family and community activities. 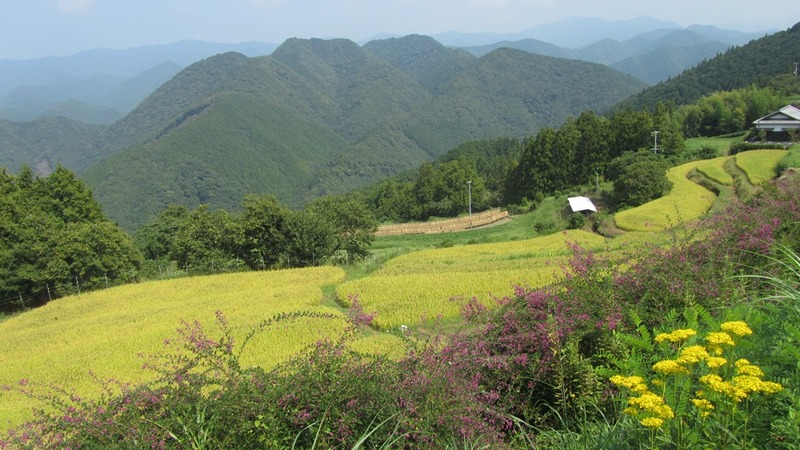 We’ve gone hiking with Shatoshi, to ‘cabbage club’ where we helped harvest hundreds of heads of cabbage, made wool yarn at a neighbor’s house, picked berries, went to a bazaar, visited a 1 man cheese factory, helped with the rice harvest in another town and attended a midday BBQ. 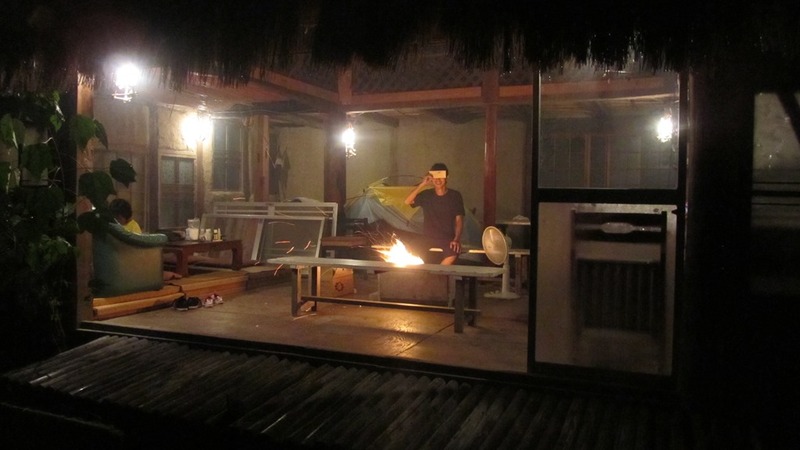 We really enjoy Japanese BBQ because its lots of grilled veggies like peppers, onions and pumpkin. There’s even grilled noodles which are really good and of course some marinated meat. Our time here on the farm is coming to a close and so is our time traveling. As some of you might already know, Rachel and I are headed back home. We had plans to travel to Nepal, but the Colorado flooding caused some serious damage at my parents resort and they need our help to get it back in working order. So we were able to change our tickets and will fly home on October 15th. 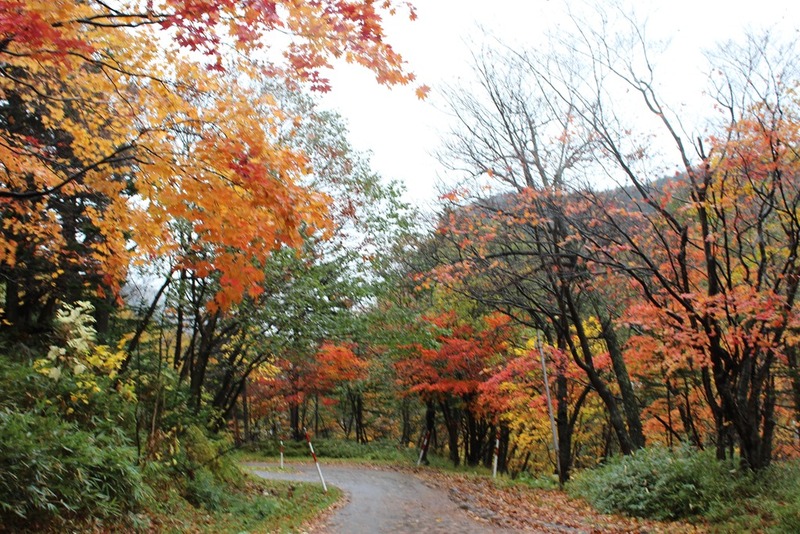 We will leave the farm on the 9th and hope to get in some hiking in a nearby National Park, swig some beer at the original Sapporo brewery and whatever else comes up before making the trek home. Hope to see you all when we get back! While in Japan we have been introduced to many different traditions and customs. One big part of life here are the onsens and public baths, community places to get clean, soak and talk with your neighbors. Our friend told us, people in the bath are all equals; there are no clothes to delineate one social class from another, the conversation flows freely. With the creation indoor plumbing people don’t use the public baths as often, but they are still visited. Due to the late coming of the tub and shower in every home they are always separate from the toilet. At our last two farms we always used the shower and were never invited to use the tub, which seemed to be reserved for family members only. 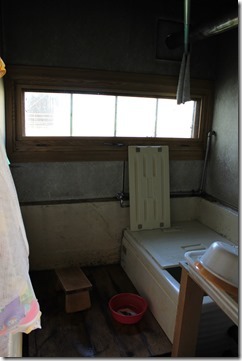 However our dairy farm host only had a true Japanese bath in their house without a shower. A traditional bathtub is shorter and deeper than common tubs back home. You are not able to fully extend your legs and the water will come up over your shoulders. Attached to the tub is a small heater that pulls in cold water from the bottom and outputs hot water in the middle. Sometimes the water can be scalding on top and yet frigid on the bottom, so it’s best to stir the water before getting in. It is also customary to not get in the tub until you are completely clean. To do this, located next to the tub is a small, wooden stool to sit on and a bucket. You dunk the bucket in to the tub for water and do all of your washing outside the tub. If you are really dirty you might even wash twice. When you are completely clean you can enter the tub and relax. Once you are done, make sure not to drain the water! The tub water is reused by the next person and then the next person until everyone has washed. The water is kept warm by covering the tub in between baths and can also be reheated if necessary. It was difficult to get used to taking this type of bath, especially the first few days when we had 9 people all using the same bath water. However, now I kind of look forward to taking a bath. On the cribbage front Andy and I are in an even 6 win tie. 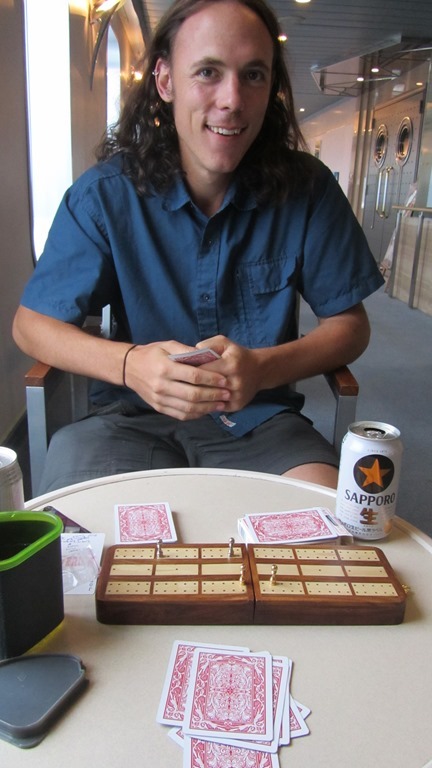 I got off to a slow start and lost 5 in a row! Can’t believe I’m even telling you this. Well, we finally had some time to kick back and relax and catch up on the blog. 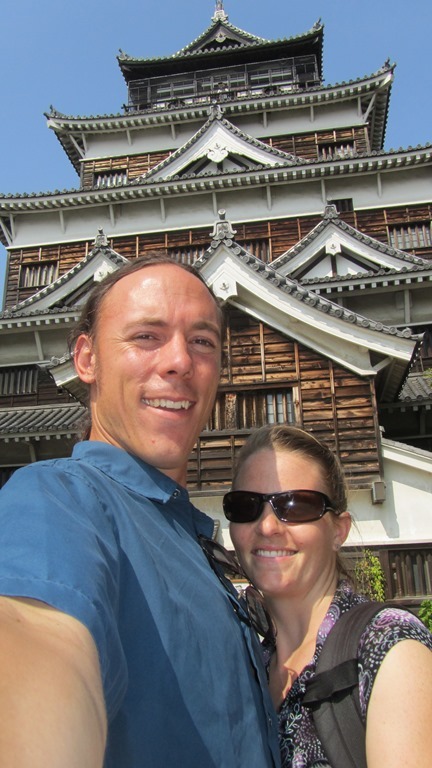 Traveling from place to place every 3 or 4 days is work, but we have enjoyed seeing the sights of Kyoto and visiting the City of Peace, Hiroshima. Right at this instant we are on a ferry to Hokkaido, the north island of Japan and I am anticipating the nice cold weather. 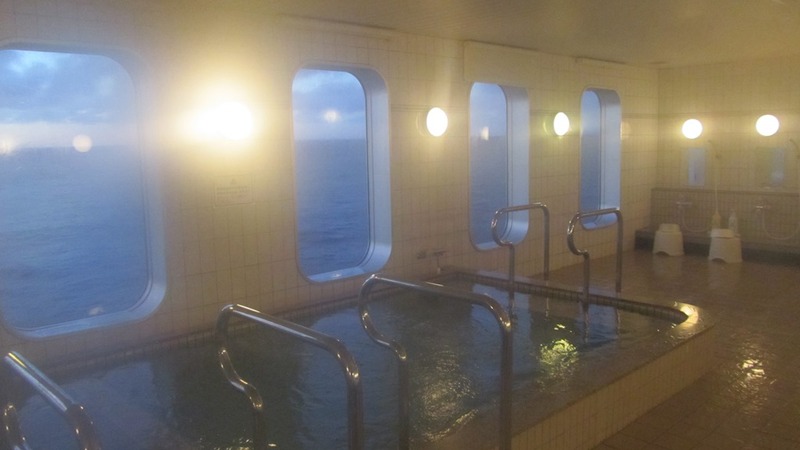 The ferry has been a treat as we have enjoyed napping and bathing in the public bath that they have onboard (see picture its Andy’s favorite so far). The garden city of Kyoto struck us as a quiet place for being as big as it is. The train station took us half a day to explore in itself, but as soon as we got on a side street we were greeted with a calming silence. While staying in hostels we met many travelers from a variety of places including Italy, Taiwan, London, the U.S. and Canada. Kyoto is a touristy place and we did our fair share of shrine hopping. A highlight for me was renting bikes for a day. 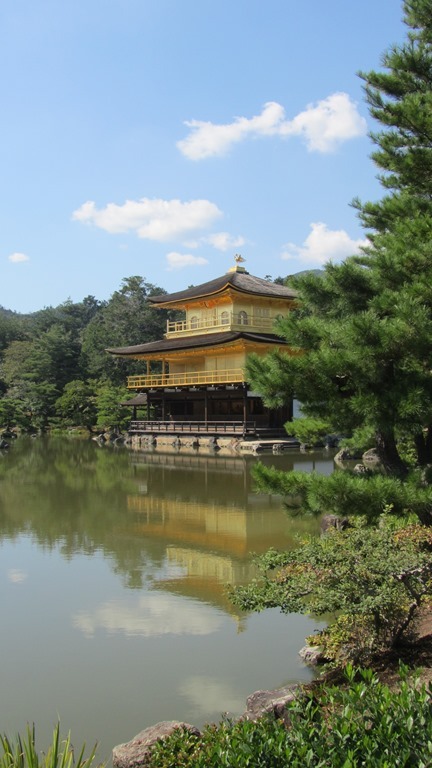 We rode along the path of philosophy, saw the gold pavilion of Kinkakuji, stopped by the Imperial Palace, enjoyed beers by the canal and went for a night walk in the garden shrines near Gion. 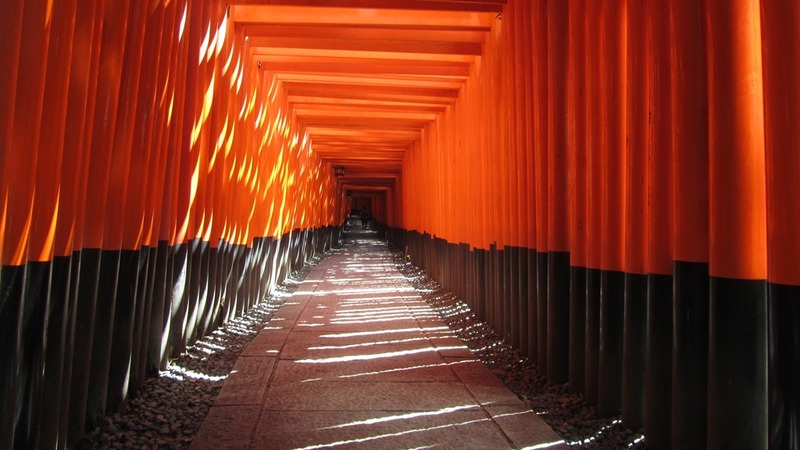 Strolling through the orange tori gates at Fushimi Inari Taisha I realized I would hate to be the painter who has to upkeep some 30,000 gates that line the trail. 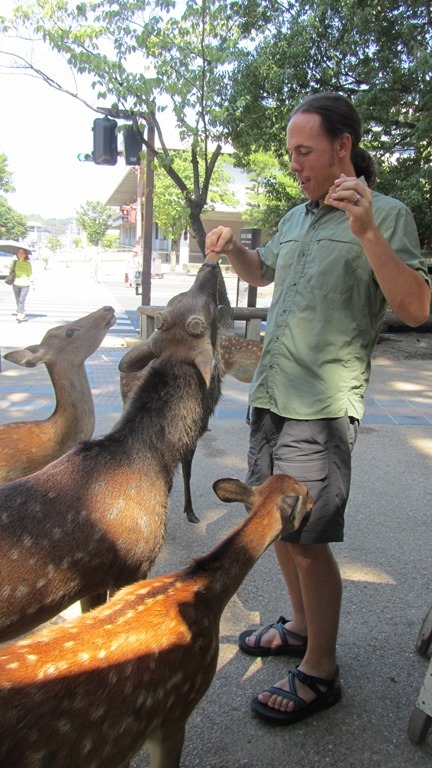 We took a side trip to the town of Nara where deer are revered to the point that deer cookies can be purchased and you can feed the deer! Can you imagine if elk cookies were fed to elk in Estes Park? We visited the giant Buddha and were not sure if we were more impressed with the building that held the giant Buddha or the statue itself. 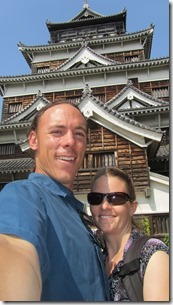 Long, full days encompassed us in Kyoto and I’m glad we saw the sights and we were ready to move on to Hiroshima. 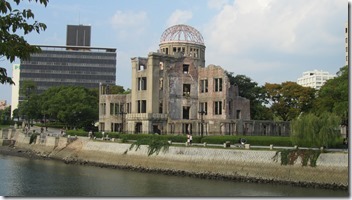 August 6, 1945 was promising to be a nice day when the sun rose on the city of Hiroshima. People worked diligently to make fire breaks in the city and perform other duties in anticipation for U.S. air bombings. Nothing could prepare them though for what was about to happen. 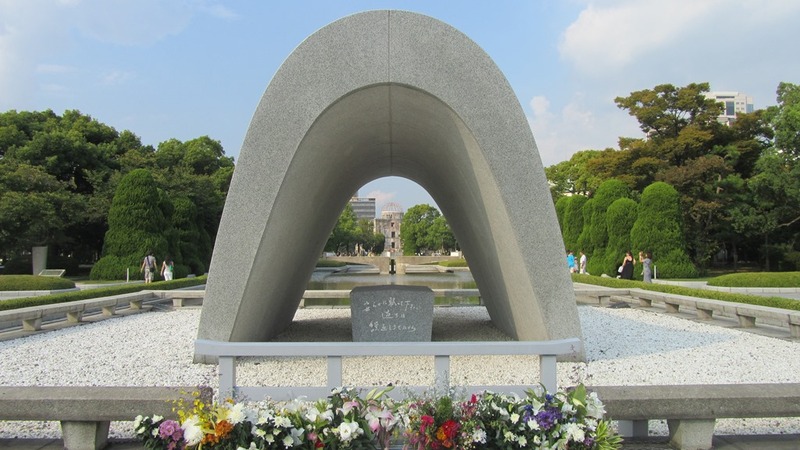 At 8:15 in t he morning the Enola Gay flew over the city, fixed its sites on a T-shaped bridge in the middle of the city and dropped the first atomic bomb in history. Instantly the city was set afire, buildings obliterated and thousands of people perished, others suffered from life threatening wounds and more yet would develop diseases in the coming years that would ultimately take their lives. More than 140,000 people were lost from one single bomb. This is the story we learned as we toured around Peace Park and the Hiroshima Peace Memorial Museum, which was stands at the epicenter of where the bomb was dropped. It was surreal for us to stand on the new T-shaped bridge , adjacent to the atomic dome building that still remains as a tribute and imagine the bomb going off and a mushroom cloud enveloping the city. Many people believed the area would be a wasteland and nothing would grow in the area again for 75 years. This prediction was wrong because now Hiroshima is alive and jumping and is a flag of peace. The city has not forgotten it’s past and promotes itself as a city of peace and adamantly opposes any development or use of nuclear weapons. In fact, every mayor since 1968 has written letters of protest to any country developing, testing or possessing nuclear weapons. All the letters were on display at the museum and sadly the last 10-15 were to Obama for the “Z-Machine” and 1 to North Korea. The museum educated us on the events, but did not cast blame on any side. The main purposes were to inform about the harm and use of nuclear weapons and to fight against them at the same time. 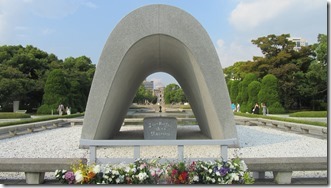 In the center of Peace Park a flame burns that they say will not be extinguished until all nuclear weapons are dismantled. Let’s hope we see that day. 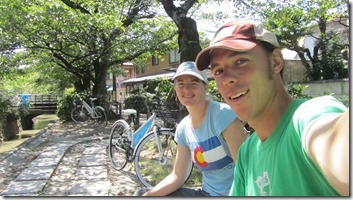 Our next destination is a town near Bifuka in northern Hoakkaido, where we will Wwoof on a dairy farm for a week or so. Exciting news! 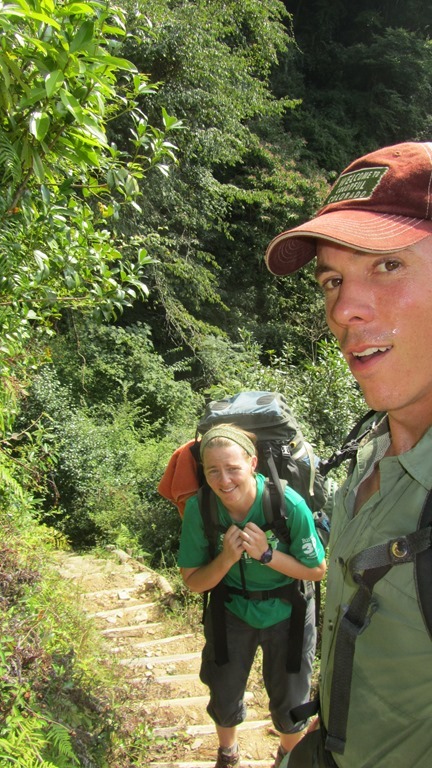 We are headed to Nepal on October 15th! We fly from Sapporo (don’t worry we will enjoy the beer before we go) to Kathmandu. 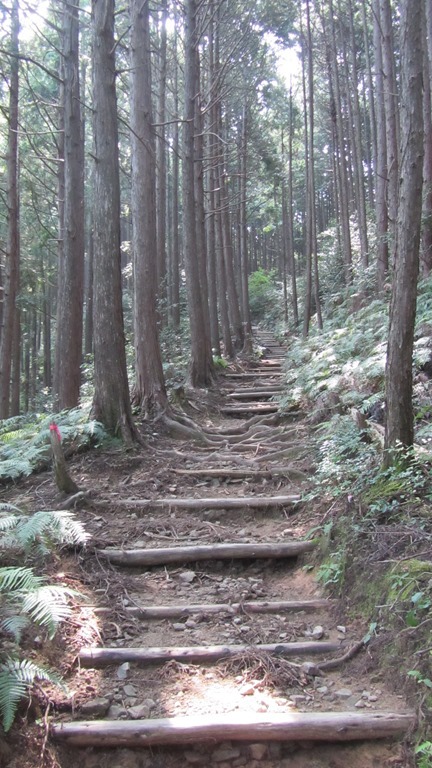 Imagine hiking an ancient trail in search of enlightenment. All you have are the provisions on your back and the sandals on your feet. 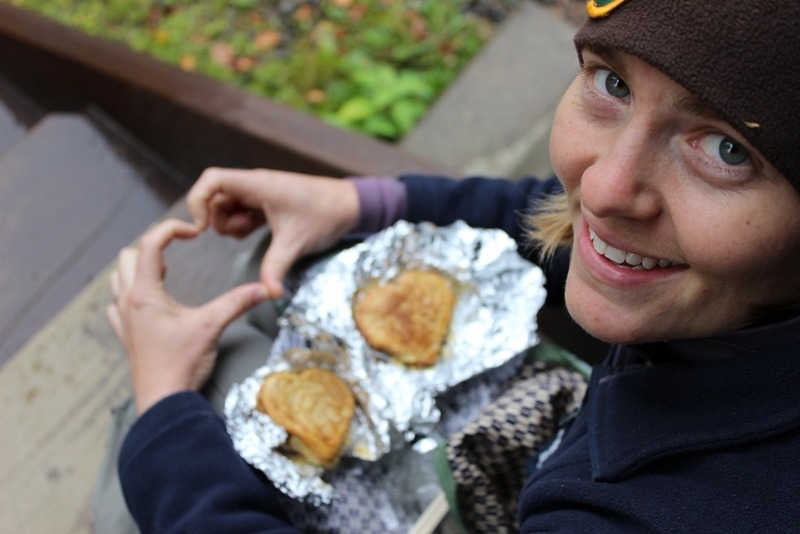 You pack light (you bring with you several pairs of sandals for when they wear out), because of the steep up and down trail and you will rely on help from locals for food along your journey. You are on this pilgrimage to pray and visit ancient shrines, statues and burial mounds that represent rituals and offer the traveler spiritual strength along the way. 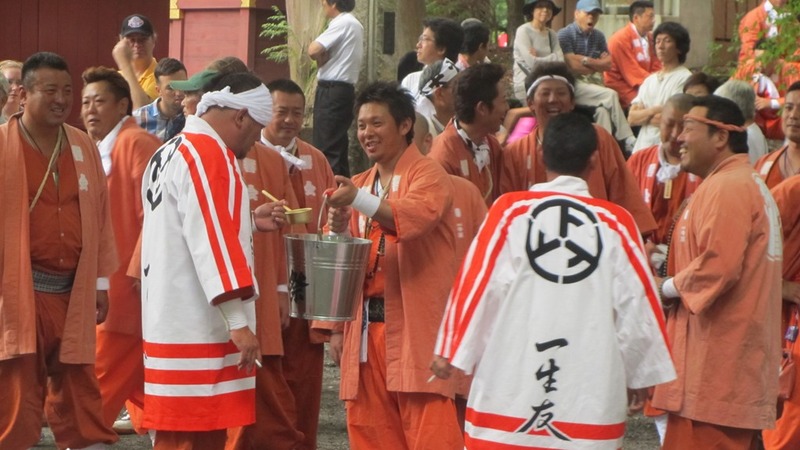 You may have to stay near the many shrines and drink from the fresh river streams. 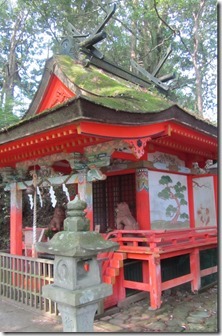 You find your faith strengthened at each shrine that has its own god and story to tell. 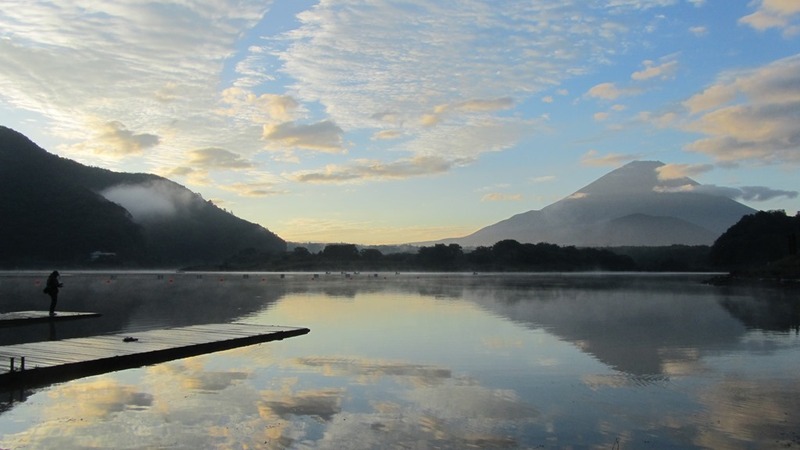 At the end of your long journey you have traversed mountains, and you arrive at the small, spiritual town of Hongu and soak your weary bones in the cleansing and revitalizing water of the Yunomine hot spring. 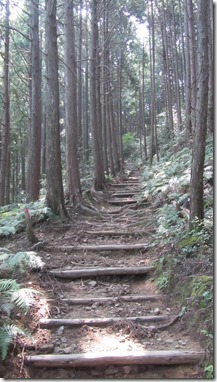 This is essentially what Andy and I experienced while hiking the Kumano Kodo (Ancient Road). 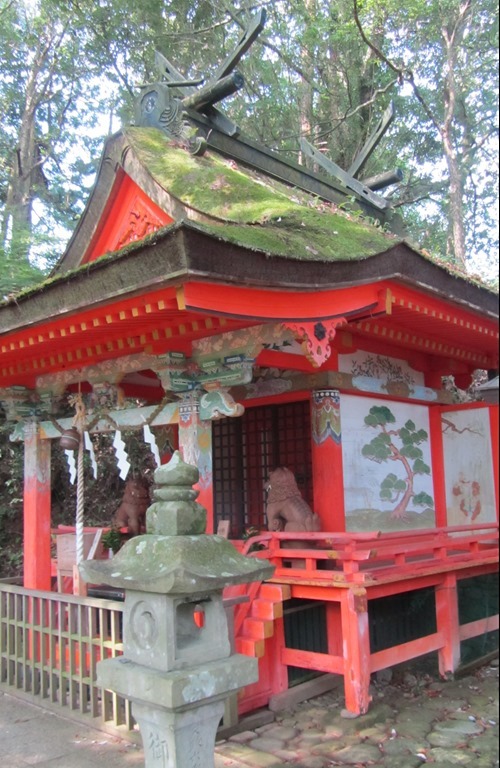 For over 1000 years men and women from all levels of society have made pilgrimage in the Kumano using a series of routes to 3 significant shrines of the Kumano religion which is based on the worship of nature and the acceptance of all believers. 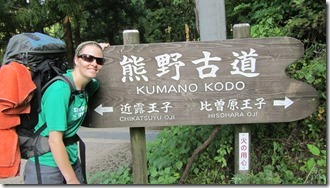 We hiked a 25 miles section of the Kodo in 3 days and camped along the way. This pilgrimage was full of many challenges and rewards. The sweet triumph of reaching the Hongu Taisha shrine at our journeys end, soaking in the natural river hot springs, and seeing the landscape and views of a winding trail brought us a bit closer to enlightenment. We definitely had time to think and reflect at each shrine along the way. Parts of this magnificent, and at times frustrating trail, are mountain roads, main streets through villages, cobblestone paths, climbing stone steps, or zig-zagging switch backs that are deep in the mountains safe from progress. One stretch we were met with groups of smiling Japanese saying “sugoi! (Awesome! Great! 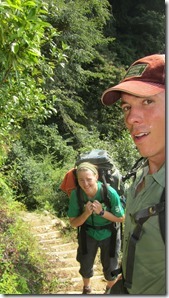 )” as we passed with our packs, most people we saw were day hikers. The next stretch we would see no one until the next shrine where we would collect a shrine stamp and head on. 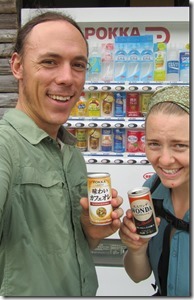 At one point the trail led us right to a vending machine! Another point it led us to a 4 km detour in the middle of a forest that had been leveled by a logging company. 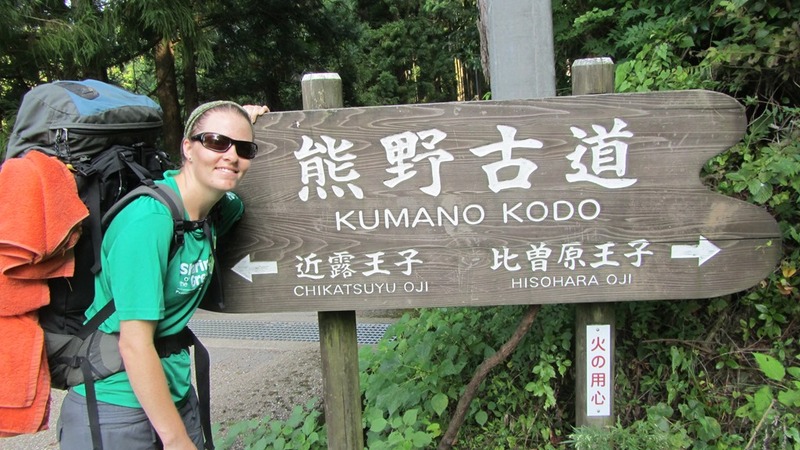 I never could predict what the Kumano Kodo was going to give me next, but there was always and maybe too often a sign pointing the way. Of the many tribulations and unforgettable experiences was the second night we camped, when something quite odd happened. All day my feet hit the trail, my toes hit my boots and my new blisters reminded me with every step that my pack was a bit too heavy. Near the evening I told Andy that we should start looking for a place to camp. At the Jizo shrine (the god that takes care of travelers and children) I found a second wind and not thinking I could do it, made it to the top of Mikoshi pass. What a day. 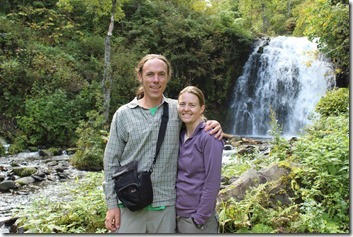 We had not seen any other hikers all day and felt pretty remote. At a small shelter with running water, bathrooms and a small pull off next to a couple mountain roads with no cars we decided to camp. We both fell asleep and woke up to the sound of 2 cars pulling into the dirt parking lot around 1am. 3 men were opening and closing car doors and eventually they fell asleep in the shelter. A bit scared we silently listened and wondered what the hell they were doing here at night… of course we thought the worst… drug exchange, Japanese mafia busine ss. 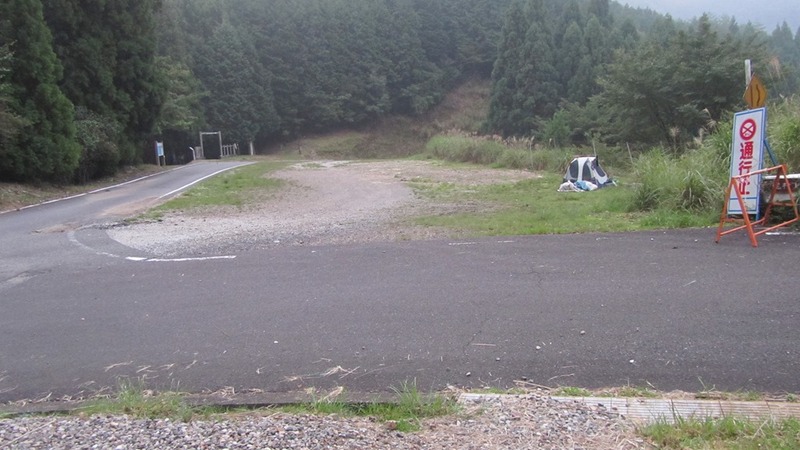 I kept telling myself, “you are in Japan, awful things don’t happen in Japan… but you are on top of a remote mountain pass… Japanese people are too nice to harm Kodo hikers.” We could hear their snoring and then one of them got up and was talking into a walkie talkie. Then we heard voices and soon saw a line of headlamps coming from the trail! 20 men were night hiking and this was their pit stop! The 3 men were handing out food to the night hikers who kept their voices down and occasionally flashed their lights in our direction. Relieved but still a bit rattled we watched and listened for a while and then we both fell asleep. When we woke up again in an hour they were all gone. At the visitors center the next day I asked about the night hikers and got some crazy looks and I think they thought they didn’t understand me even though both people spoke pretty good English. I explained it to them again and the only explanation they could give me was it could have been a training exercise for serious hikers. The woman also mentioned to me that camping is not allowed along the Kumano Kodo. Oops. 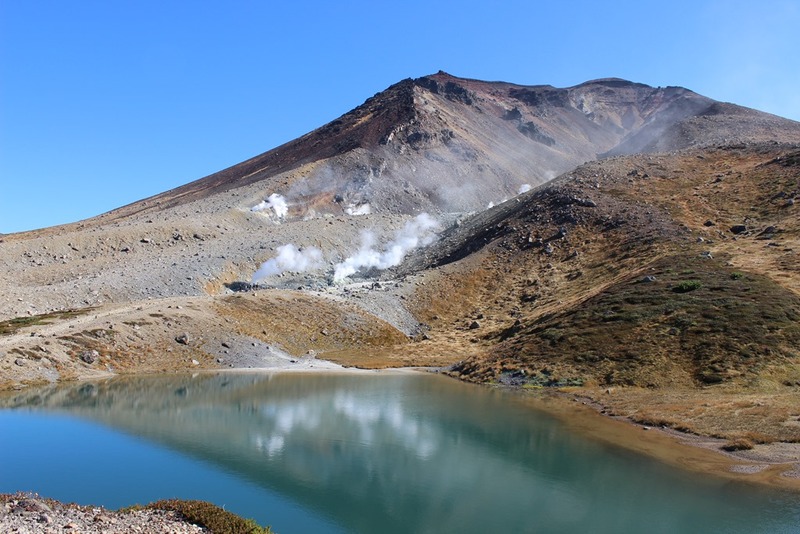 Completing our 3 day trek was a good feeling and we rewarded ourselves by soaking in the natural hot springs in the Kawayu River. It is a free hot spring where you dig your own bath in the bank and can take a cold plunge in the middle of the river. We soaked our weary muscles and relaxed. We camped next to many other Japanese families along the river and woke up in the early morning with rain pouring down and puddle forming around our tent. Literally it felt like a waterbed , but luckily no water was leaking in our tent. In the daylight we saw the river was much higher than the previous day and the rain was still coming down. Later we learned that a typhoon was hitting the coast near Kyoto and we were getting the rain and wind. We packed up and hit the road in the torrential rain. Not 5 minutes passed on the road and we were soaked, but trying to get to the bus stop to head into town. Then a young couple stopped and pulled over into oncoming traffic and told us to get in their car. The man rearranged all there camping gear and would not take no for an answer. 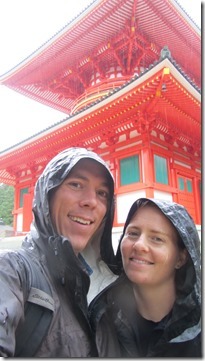 We felt bad with our dripping wet humungous packs, but it was coming down, typhoon style. They spoke very little English, but pretty much asked us where we were going and took us there. About 15 minute drive and I think they were headed in the other direction. Japanese kindness at its best. We didn’t let the rain stop us, we made it to Yunomine hot springs which are said to be the oldest in Japan, the river was running straight through the spring so the main pool was closed but we soaked in a medicinal pool before catching a bus in the rain back to Tanabe. Eventually, due to delays caused by the typhoon we made it the following day to Kyoto where the sun was shining. Lessons learned were: be careful when picking a tent location, drainage is important and we need to keep an eye on the weather. I couldn’t imagine hiking and camping on the trial in such rainy conditions. 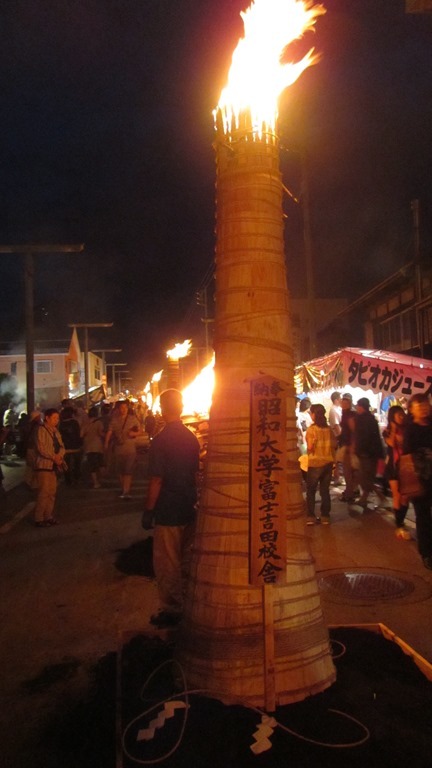 Here’s to the Kumano Kodo! Thank you for such a wonderful, Japanese experience! 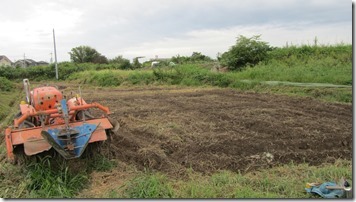 Our second farm stay was at Yohey’s farm in the Wakayama Prefecture, South of Osaka. We chose it because he looked to be about our age and working with other young farmers. His house was very communal because in addition to Yohey, his wife, child, mom and cat there were many other people living there. 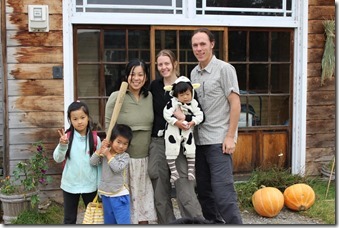 Ti-chan, Lumiko and Lumiko’s 4 year old daughter were permanent Japanese WWOOFers who hadn’t left in two years. Mami actually lived elsewhere but worked on the farm and was around quite often. Di-chan, another woofer who seemed really young (he was 23), didn’t seem like a farmer to us. Come to find out his mother made him stay and work at the farm for two months because he wasn’t doing anything productive with his life. I guess it’s somewhat common for parents to do here in Japan. Then there were other WWOOFers who came and went besides ourselves. 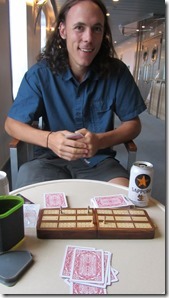 Itai, an Israeli guy who we became friends with, was the only other person there who spoke fluent English. To add to that for whatever reason there were 6, giggling 11 year old school girls staying on the farm the first couple days for some sort of camp or something. We’re still not quite sure. Not everything was explained at first and the first few days were confusing as we tried to piece it all together. Luckily we befriended Mami and she helped clear some things up for us, but even then there were still some mysteries. Like one day Yohey’s wife and child were no longer there and then a few days later Ti-chan disappeared. He came back by the time we left and he told us his fiancé’s father was bitten by a poisonous snake and he had to go take care of him. So that cleared up one mystery, but at the same time we were surprised to hear he was engaged since his fiancé was never there or brought up in conversation. And eventually we learned that Yohey’s wife and kid left to go be with her brother who was having brain surgery. If this sounds confusing that’s because it was and it was further compounded by our lack of Japanese skills. On the other hand though, the farm was a fun place to be with so many people. Someone always had plans or wanted to do something special and we were included in all of it. 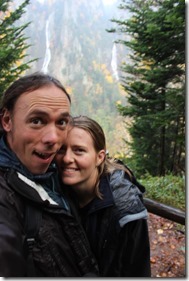 Like we visited a waterfall with Mami and Itai and went to some hot springs. One night Yohey wanted to BBQ so we all made fried potato balls and grilled out (or rather inside for some reason per Yohey, very bad idea). 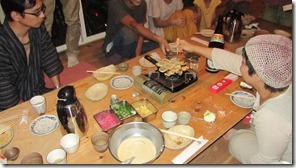 Another time Lumiko made Takoyaki (squid balls) with us and Ti-chan taught us how to make homemade Soba noodles. 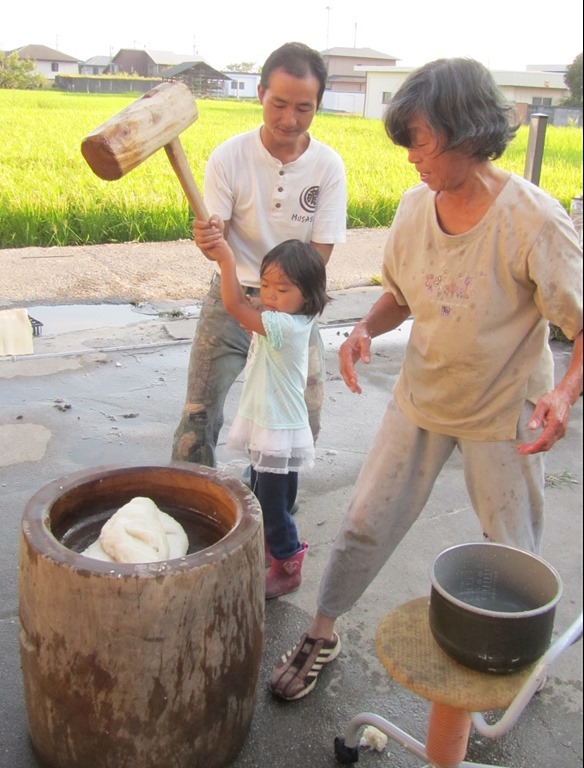 Okasan, Yohey’s mother arranged making traditional Japanese Moshi one afternoon, which involved using a giant hammer to beat rice into this popular dessert. Luca, the 4 year-old especially loved it. Yohey also showed us around and took us to quirky things in the area like a train station decorated in cats (it even had a live cat on display inside a glass enclosure). We visited his friend who is building an earth bag dome house (see picture). 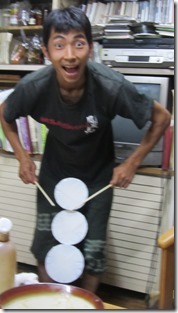 Plus Yohey loved to drum and took us along to many of his events in the evenings where he taught or was performing. As for farm work we helped out where needed. A lot of the time was spent weeding fields, clearing the land to plant new crops, digging out ditches for rain water drainage, building planting mounds and of course planting seeds like potatoes and carrots. A couple of days we helped clear jungle from some land so that Yohey can one day build a community center where he can drum as much as he wants without disturbing his neighbors with the noise. 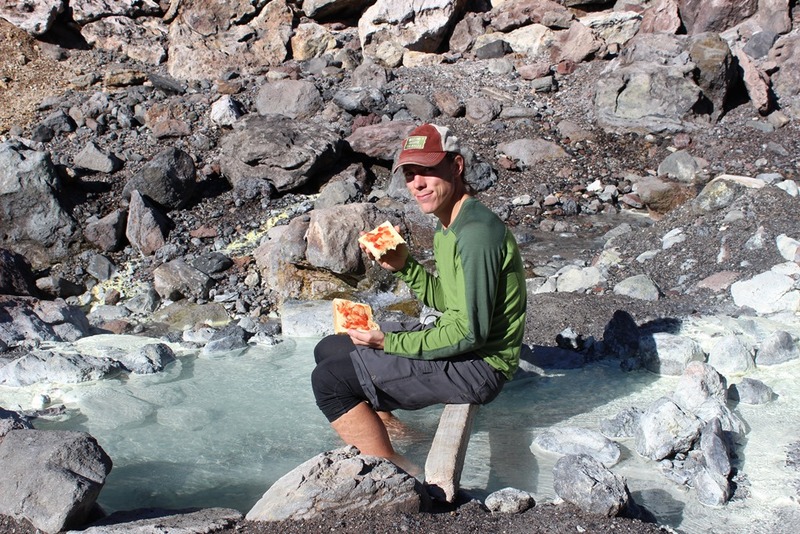 Our favorite days to work were on the weekends because that’s when Yohey ran his pizzeria. We would usually work a few hours in the morning and then enjoy pizza for lunch before going back out. Yohey’s was a fun and interesting place to be. It was great to be part of their community during our stay there. Cooking and sharing everything with a household of friends was a great experience and we saw how young, organic farmers are trying to make it in Japan and foster their beliefs to the rest of the country. 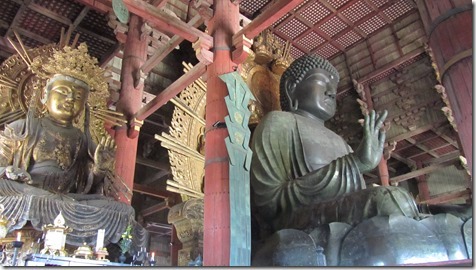 Religion in Japan, from my viewpoint, is mixed heavily with culture and the complexities of Buddhism, stemming from India and Shintoism, a native folkloric religion. Temples in honor of Buddhas and shrines in honor of Shinto gods and goddesses are everywhere here and they represent all sects of both religions. We have paid our respects to many and honored the age, architecture, and peaceful surroundings of these places. 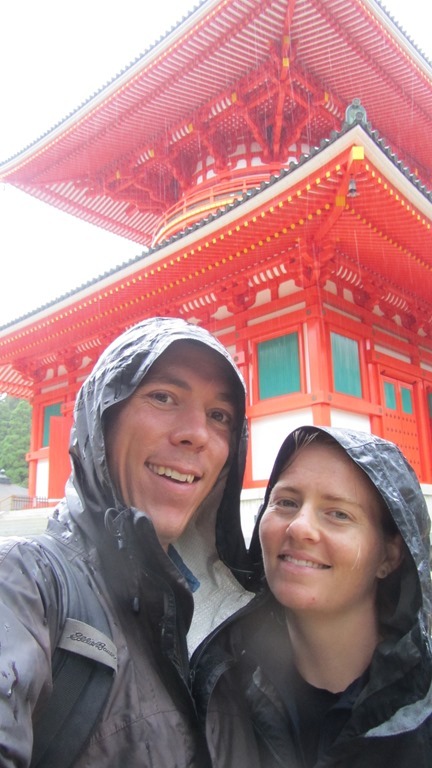 On a truly soggy, rainy day we visited Koyasan, a mountain sanctuary and monastery established by Kukai a young priest who brought Buddhism to the area from China in 816. To get there we took a tram up to a peak that is surrounded by 8 other peaks. 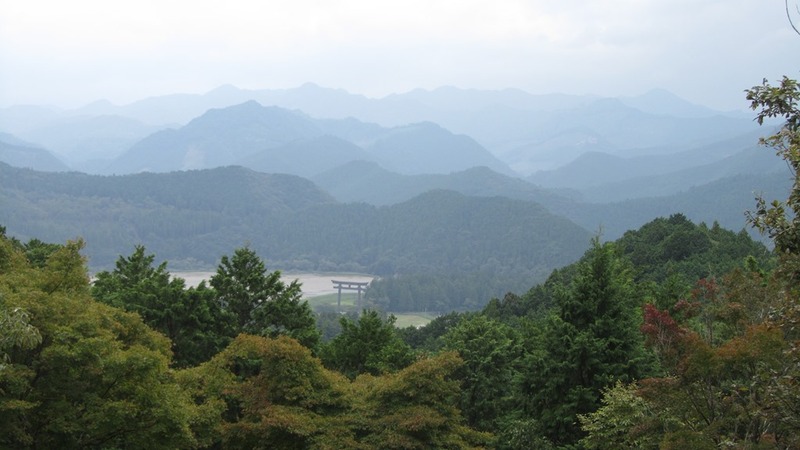 Kukai chose this spot for his school of esoteric Buddhism because the 8 peaks represent the 8 petals of a lotus flower (not to mention a black dog and white dog led him to the place). 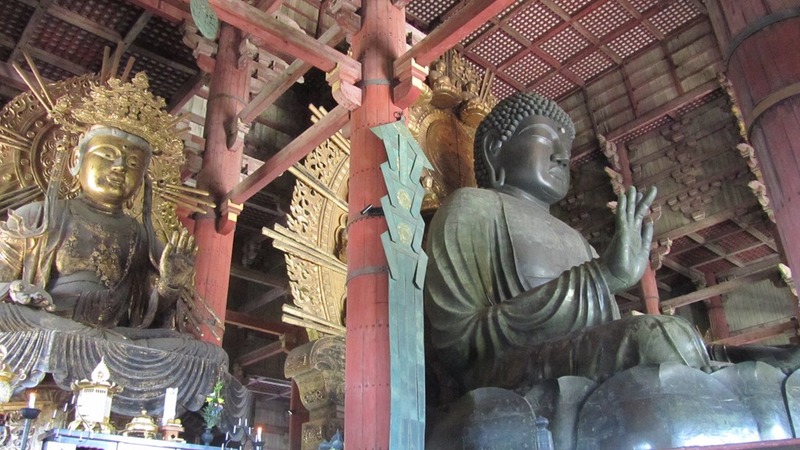 Today it is a thriving center of Buddhism with more than 100 temples and a Shingon school for monks. The coolest part of this place was not only seeing monks everywhere, walking and praying from temple to temple, driving, but also the path through the Okunoin cemetery. 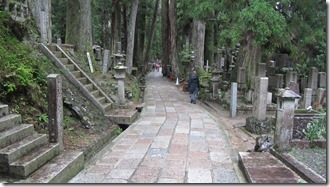 The cemetery is lined with old cedar trees and has over 200,000 graves. As we walked we saw tombs adorned with statues. 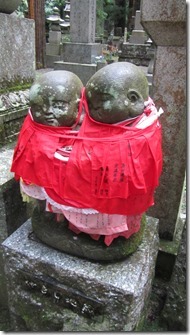 Some wore bibs and hats, which are known as Jizo. 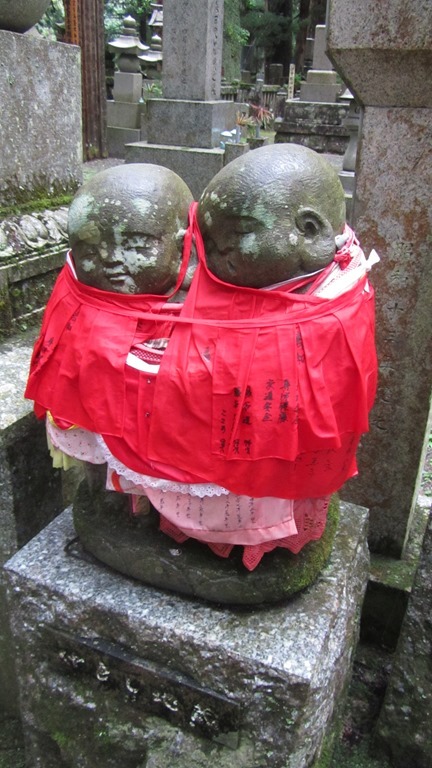 It is said that these Jizo never enter in to eternal enlightenment so that they may remain here in our world to help children who die find their way to the afterlife. At the end of the cobblestone path we reached the Torodo or Lantern Hall that contains a lantern that has been burning for 1000 years. 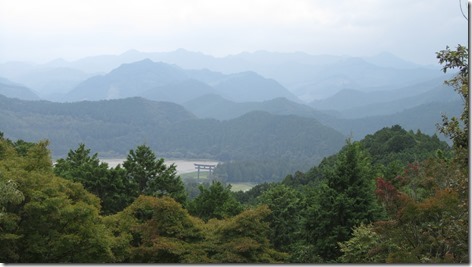 It also is where Kukai is believed to still be alive and in eternal mediation to this day. 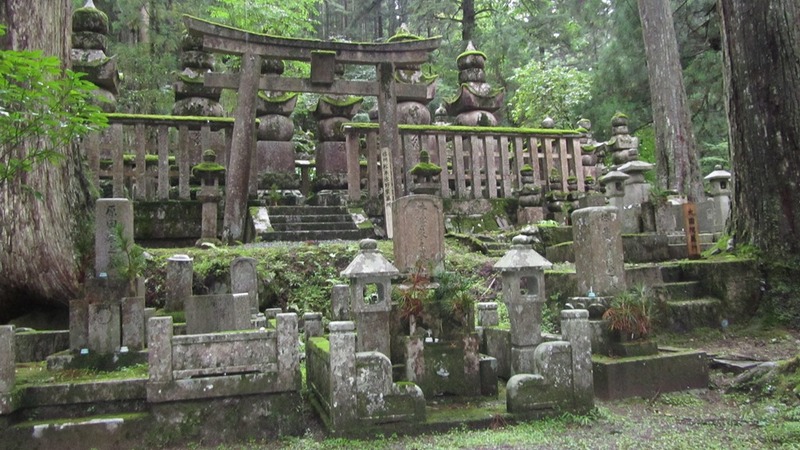 The sun never showed itself that day, but it made the path through this spiritual place more memorable and it was difficult not to feel the antiquity, the moss on the gravestones was also a reminder. 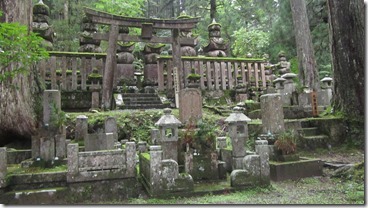 At Koyasan we also visited Daito the great pagoda that burned to the ground several times like many temples have. It is rare to find one that has not burned at some point in history. Daito however, burned so many times, it is said that they painted it vermillion orange (the brightest orange ever) to keep the lightning away. So far it has worked and recently painted it’s hard to miss; so very colorful. This stupa is said to be the center of the lotus flower that is formed by the 8 surrounding peaks. We were moved by the ringing of the midday bell and the sheer height of this temple. After visiting the place, we feel like we know even less about Buddhism, but we respect the age and preservation of places like Koyasan for future generations and people of all beliefs. 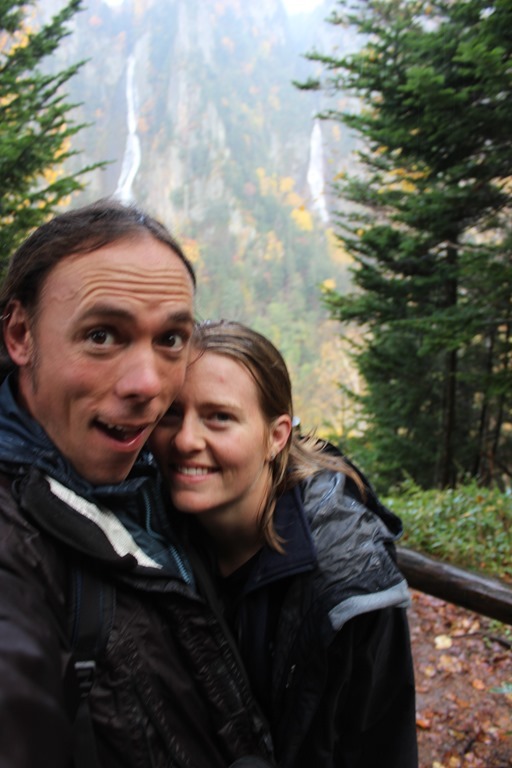 You may be wondering what the hell else we are up to and we will get blogging about our trip to Hongu and exploring Kyoto next! 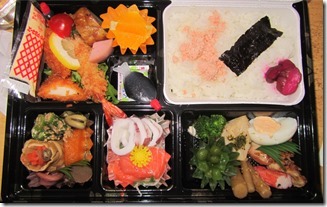 “Itadakimas!” is said before every meal here in Japan. It has no direct translation but means something like “I receive this” or “let’s eat!” Arriving almost a month ago I was unsure of what we would be eating … I heard either you like it or you don’t. Turns out we both like it! And we have developed some pretty good chop stick skills with frustrating determination. We both have been offered a fork and refused. In Tokyo we made some mistakes; Andy ordered dessert for dinner one night. A dish called anko and moshi are popular desserts and are very squishy and sweet. We have had some great noodles and one travel day we had a Japanese lunchbox that had noodles and traditional food for the person on the go. While traveling we have enjoyed delicacies from 7-11 which is more of a small grocery store here with beer, a variety of meals and all types of Japanese snack food. 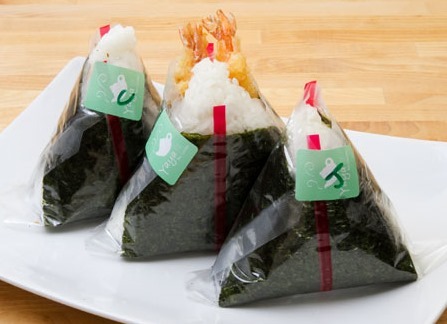 We enjoy Onigiri (Rice ball or triangle made with fish or a fermented plum inside- you never know what you are going to get if you can’t read kanji and we can’t). There has been only a couple rice balls that we could not choke down and many that provide decent taste and nourishment. 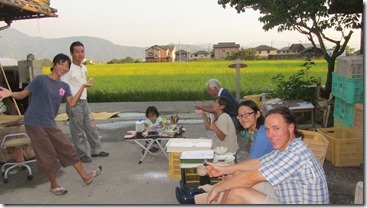 At Kanda’s Natural Farm we were introduced to great traditional Japanese food. We enjoyed curry, baked fish, miso soup, noodles (of all types), and fresh veggies like cucumber, plenty of eggplant, tomatoes, corn, onion, garlic, and of course the star of the Japanese food extravaganza: Rice. Co-star: soy sauce. A dish I enjoyed very much was made with a Japanese vegetable called, gobo and carrots and the noodles…mmmmmmmmmm “oyshi!”… my favorite are soba. 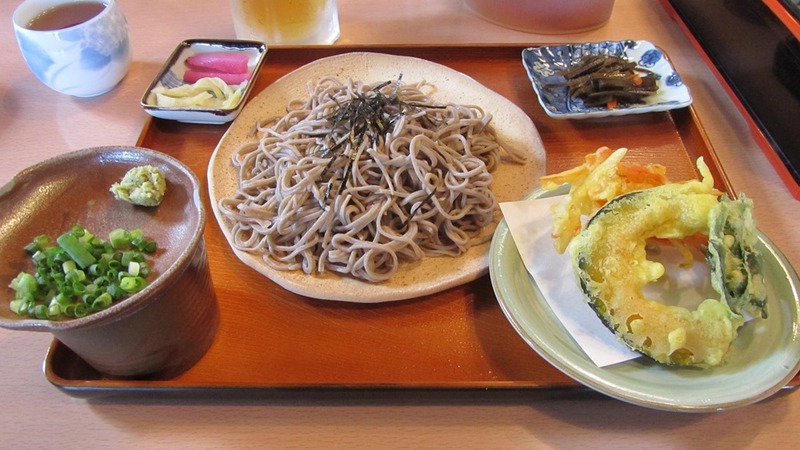 Pictured here is a traditional meal of soba noodles in the countryside and remember you have to slurp! Slurping shows that you are enjoying the taste of the noodles. After dipping each chopstick-full in soy sauce and wasabi mixture, the soba water that was used to boil the noodles is added to the soy sauce and then you drink it to finish off the meal. Fruit that we enjoyed at Kanda’s included grapes, plums and nashi (Japanese pear – the taste is a mix between a pear and an apple). We also experienced a Japanese BBQ where we sat around a grill on small benches around a grill and ate for about 3 hours straight. Meat included squid, chicken, beef, and hot dogs. Veggies were numerous and delicious. While we waited for the sizzling food to cook we sipped on Japanese beer which is usually light and high on the malty taste. On hour number 3, full and happy, they bring out the corn and then the ramen noodles! At the second farm we have been eating a variety of dishes and there is a new cook each night. 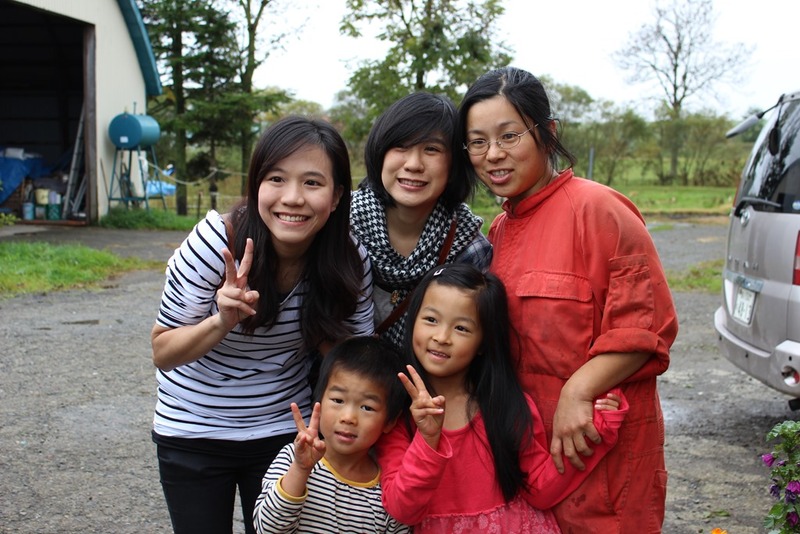 There are several people who live and work at Yohey’s farm, at any one time we can have 4 people eating or the most 20! We prepare and eat food together and then take turns cleaning up. 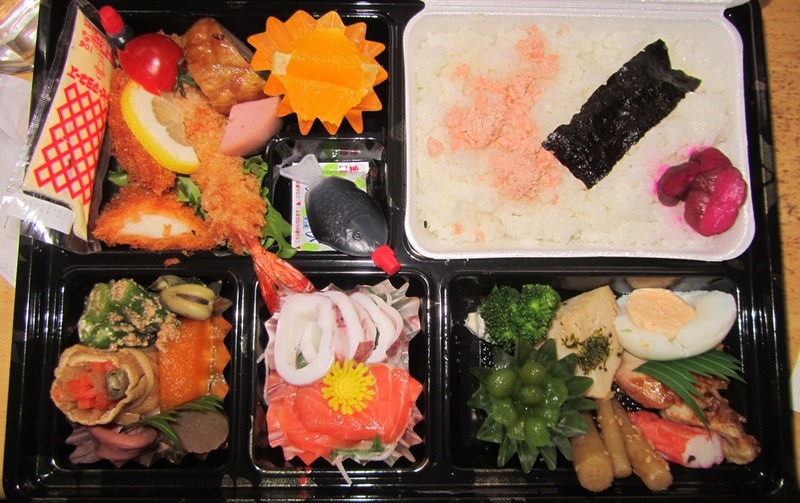 The diet is pretty much all vegetarian and the tofu in all the ways that they prepare it is delicious! I wish it were that scrumptious in the states. Like most things here you never know what to expect. One night we came home and there were boxes stacked on the kitchen table. Turns out it was a gift wrapped dinner of traditional Japanese food (see picture below). It was tasty, but a bit odd. 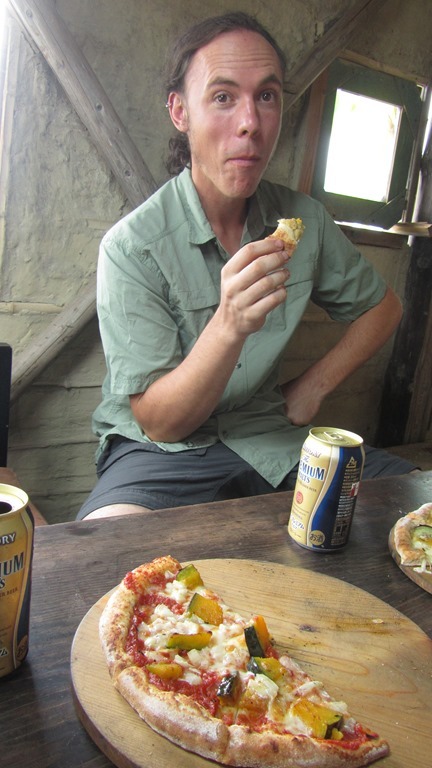 We have also tried our share of fermented food like plums that are so sour and nato which is Japanese beans that are fermented and very, very sticky. Tonight we ate a big dish full of cooked cabbage, chicken, bean sprouts, mushrooms, stretchy potato (I will get to that) and tofu. Then we were instructed to crack a raw egg into a bowl and mix with our chopsticks then take food from the dish put it in the egg and eat it. There has been nothing that we have refused and we weren’t going to start even if this was the first time we both ate a raw egg. We will see how tomorrow goes. One of the most exciting food events that we have had here is about a rooster. 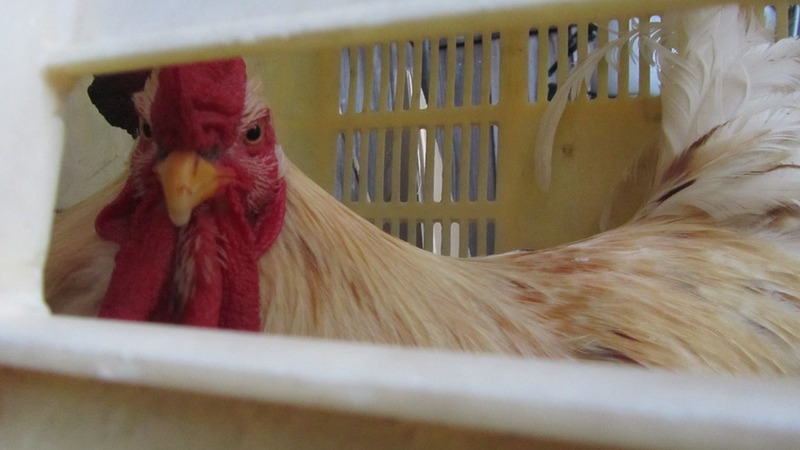 One night a neighbor shows up at the front door that is always open with a white rooster in her arms. Yohey fashioned a crate cage for the handsome thing. Very early, too early the rooster woke us and the entire house up. Andy asked that morning if he had plans to kill the rooster. “Kill rooster?” said Yohey, “yes we kill rooster. 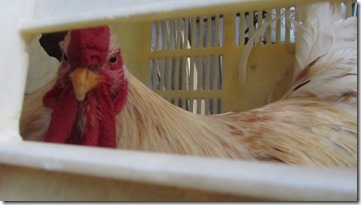 You want to kill rooster?” Maybe a bit too eager Andy said he wanted to learn how. That afternoon the rooster was put to rest. Yohey did the hard part and then Andy and Saychan (another woofer) plucked the feathers and watched the gutting and preparation. That night we also made soba noodles from scratch and ate the chicken. Besides the tough skin it turned out really well and is one of the best chickens I have had. One morning it was the alarm clock and the next it was an amazing dinner. We have been to gatherings where we sit for hours as plates of food keep coming, even when you think it has to be the end they bring out a burner and set it on the table and make takoyaki a popular baked ball of piping hot octopus and other ingredients. At this party the octopus was replaced with konnyaku. Konnyaku is made from a stretchy potato and is exactly what one foreigner wrote, “a cross between a rubber sole and Jell-O.” I have never seen this potato in its natural form. 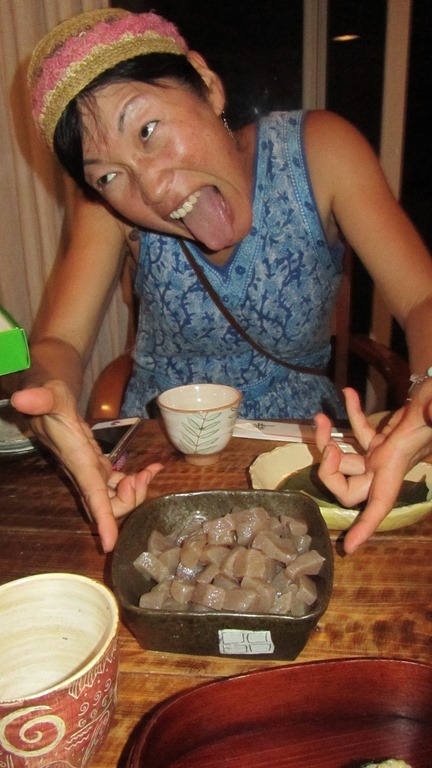 A friend that we met at the party looked up the direct translation of this mysterious food (she is pictured here with her tongue out). This is what she found: A gelatinous food made from the starch from the devil’s tongue. It does not have much taste, and is used as a substitute for fish and sometimes as noodles. Octopus and konnyaku definitely share the same texture. I do enjoy the translation and the first round takoyaki made me go back for seconds and thirds! We have done some cooking, but we feel slow compared to our Japanese friends… they don’t even need recipes and they can combine food to make a tasty and filling meal. Yohey and company also run a pizza shop on the weekends and make standard pies with red sauce and a little bit of cheese. Cheese is few and far between here. We do miss cheese. Yohey makes a pizza with a potato sauce which is interesting and has become our favorite. To say the least we have enjoyed the food here and look forward to meals. At the end of the meal we say “gochisosama deshita” “which means thanks for this food” or literally “a feast!” A place can really make an impression and the food experiences and flavors of Japan have been like none other. 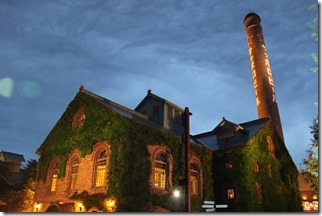 Unlike some (Lindseys! ), I fail to take a picture of my every meal, but we have taken a few so please check out all the posted pics to get a better visual. (As always, there are additional photos under the photo section titled Japan – Fifth Blog).